- 600-watt Class D bass amplifier that weighs 7 lb. 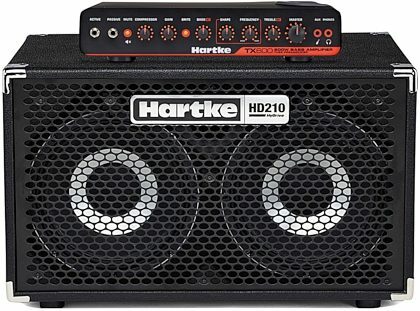 The Hartke's HyDrive HD210 features carefully crafted paper/aluminum hybrid cone drivers. The hybrid makeup delivers an exceptional blend of warmth and attack that can't be attained by traditional all-paper bass speakers. The outside curved Kevlar-loaded paper cone delivers smooth, even response with a deep tone, while the inner straight anodized aluminum cone produces highly accurate, distortion-free output. The HyDrive HD210 cabinet provide depth and clarity that is unrivaled. The new double-roll curvilinear surround limits the drivers from over excursion, while providing a smooth midband response. The result is a clean, full tone with the clear fundamentals of each note, as well as natural overtones to further define your sound. The HyDrive HD210 is a sealed cabinet constructed from solid plywood with extensive bracing and dado joints, making it rigid, yet lightweight for superior projection and minimal energy loss. 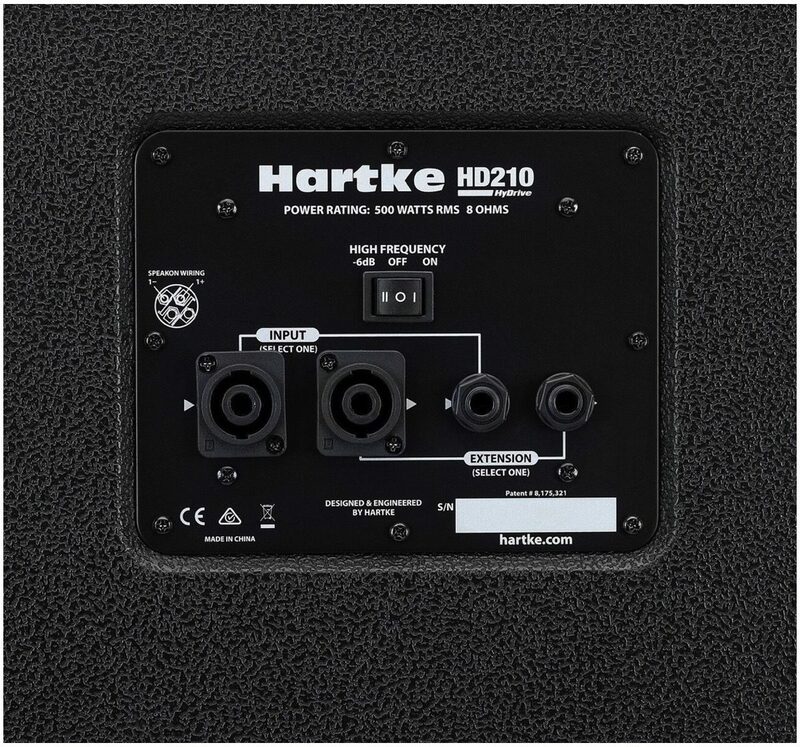 In addition, the HD210 is furnished with a black perforated steel grill, recessed steel handle and steel corners, making it both resilient and easy to transport. 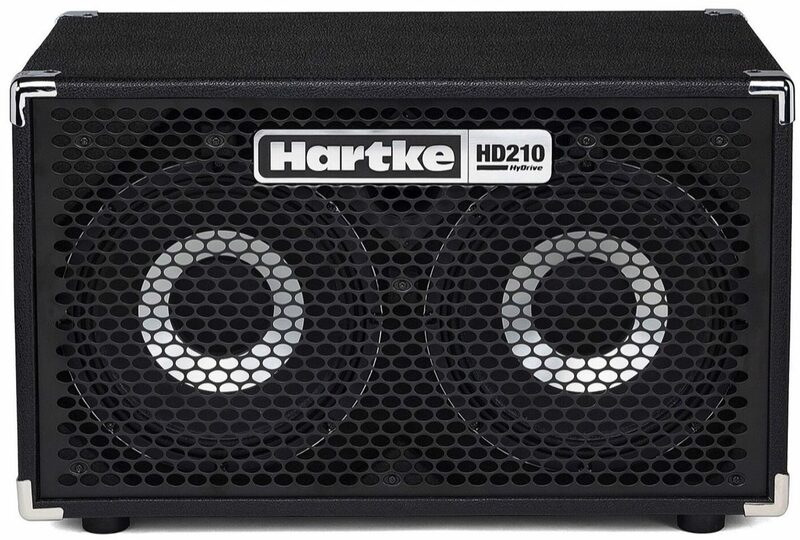 Hartke's HyDrive HD210 is the next step in speaker evolution. 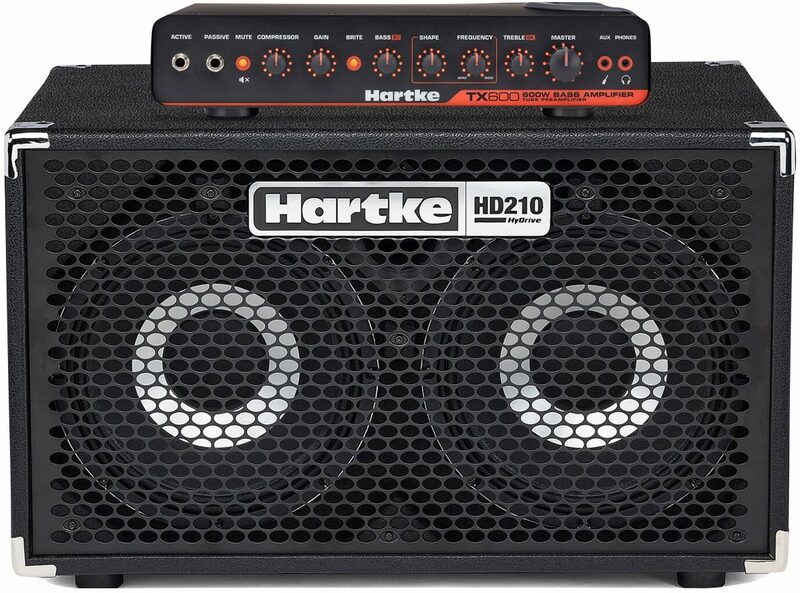 Compact and lightweight, this dual 10" bass speaker cabinet is perfect for the working bass player. 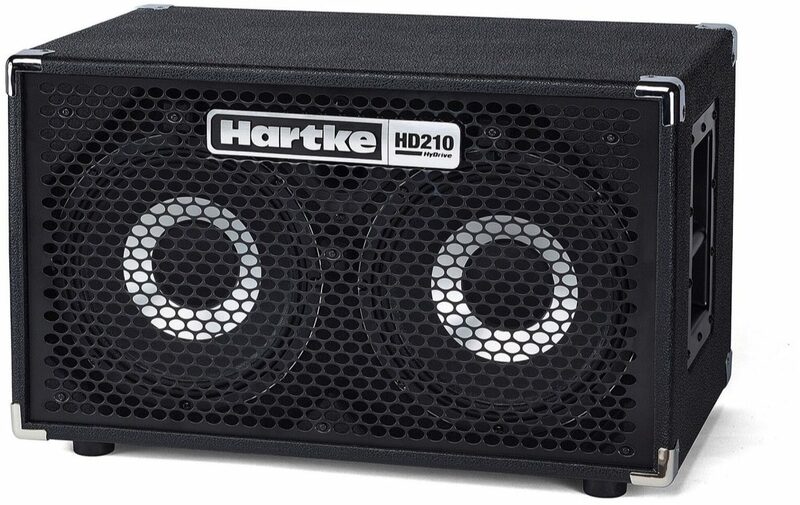 On its own, or part of a stack, the 500-watt HD210 delivers a full sound stemming from Hartke's patented HyDrive HD paper/aluminum hybrid cone speakers.